Xiaomi Mi 6 flagship smartphone has been launched at a Beijing event, ending the year-long wait of fans of the brand. At the Mi 6 launch event, the company stressed on factors such as the premium 3D glass design, powerful Snapdragon 835 processor, 6GB of RAM, and dual rear cameras of new Mi 6 smartphone comes with the new Snapdragon 835 processor, 6GB of RAM, dual-rear cameras. The new Xiaomi smartphone – available in Black, White and Blue colours – will go on sale on April 28 at 10am CST (7:30am IST). Coming to the Xiaomi Mi 6 price, there are three variants at different price points. The Mi 6 variant with 64GB storage and 6GB RAM has been priced at CNY 2,499 (roughly Rs. 23,500), while the model with 128GB storage and 6GB RAM costs CNY 2,899 (roughly Rs. 27,000). 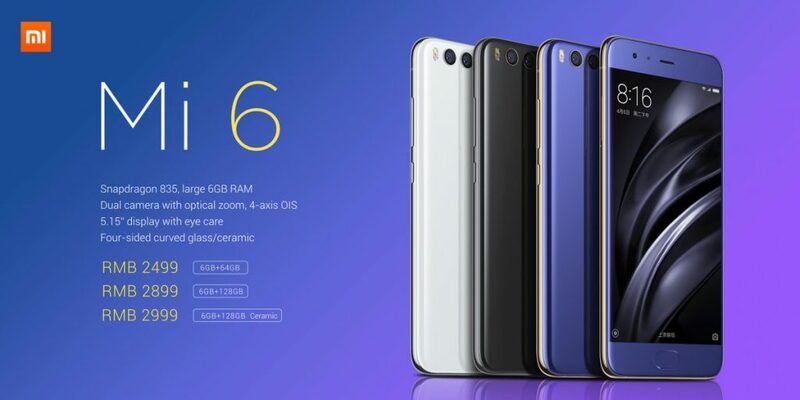 Apart from the two regular versions, Xiaomi has also announced a third version of the smartphone, called the Mi 6 Ceramic, which sports a four-side curved ceramic body and 18K gold-plated camera rims at the back, and comes in Black colour. It has been priced at CNY 2,999 (roughly Rs. 28,000) and comes with 6GB RAM and 128GB storage. The Xiaomi Mi 6 comes with a four curved design. The back is made out of glass and Xiaomi claims that this curved design gives the phone a natural grip in hand. The process of making the body is not an easy one, as the company adds that it takes about 12 days and 40 processes for each of the body pieces to be finished. The stainless steel frame ensures that the phone is sturdy despite the glass body. This is really important because glass phones usually don’t take falls very well. In case you are wondering, the dual cameras are not protruding and blend well with the overall design. According to Xiaomi, the Mi 6 is all about the best visual experience. 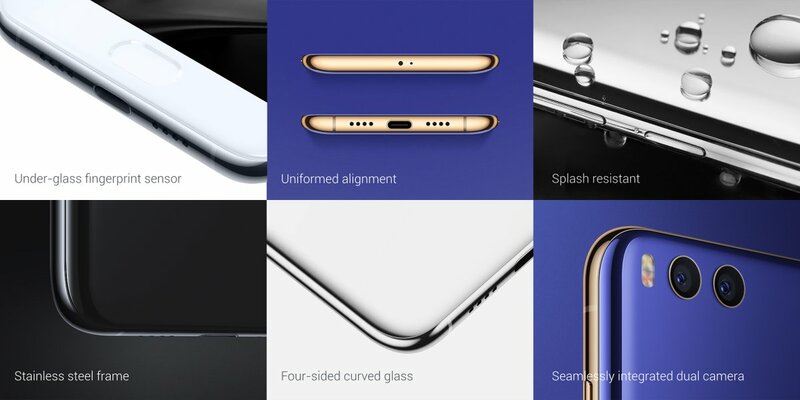 The back of the phone is curved and elegant. The front also looks good, despite the large bezels on the top and the bottom of the display. And yes, as expected, the company has decided to ditch the 3.5mm headphone jack on the Mi 6. So, it’s time to say goodbye to your regular headphones and embrace the Bluetooth and USB Type-C earbuds. On the top of the phone, there’s an IR sensor while at the bottom, you’ll find a USB Type-C port and dual speakers on either side. Everything is well covered, which means the phone can take a few splashes of water. Yes, the company is not marketing it as true waterproof or IP67 certified phone (we don’t know the certification yet). So, for now, all we know is that the phone is splash resistant. And yes, the phone has an underglass fingerprint sensor that also acts as the home button. There are a lot of color options for the phone and each comes with its own unique presence. First, there’s the interesting blue version, that we have already seen in the renders yesterday. What’s even more interesting is the Xiaomi Mi 6 Silver Edition that the company claims comes with a totally different feel than the Blue version. It looks like the back is made out of metal with a special ultra-reflective mirror finish. Now before you start drooling over this ultimate Mi 6 Silver edition, note that the mass production of the phone has not yet started. The company reveals that even one speck of dust during the electroplating process renders the batch useless. So, my guess is that this silver edition will be a special limited edition model, that you probably won’t be able to get your hands on. 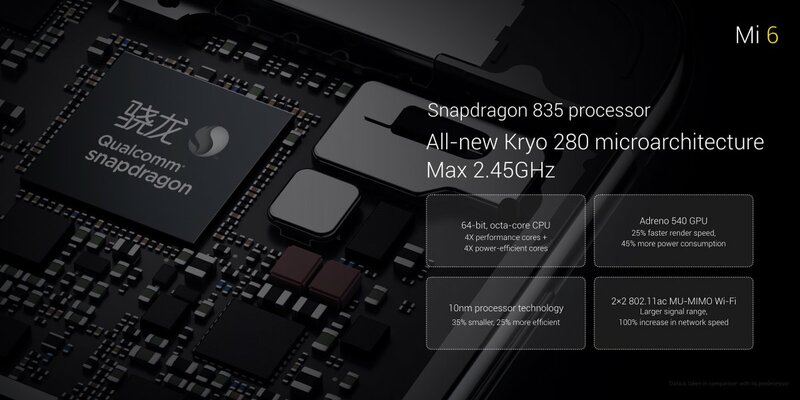 The Xiaomi Mi 6 comes with a Snapdragon 835 chipset under the hood clocked at 2.45GHz with Adreno 540 GPU on board. 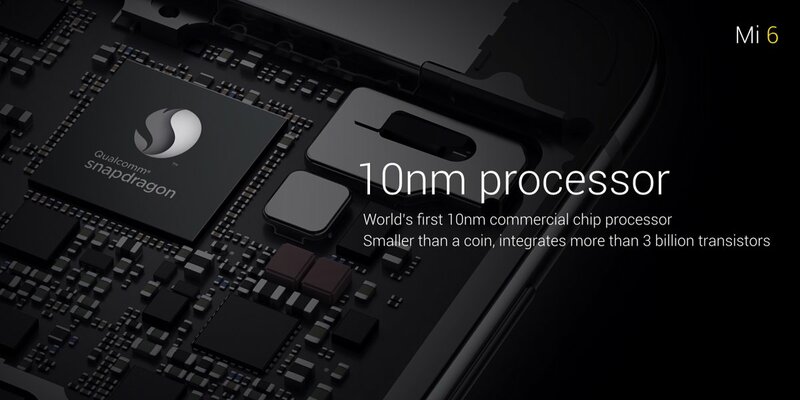 Note that this is a 10nm chip and comes in an octa-core architecture, which means the phone will be quite efficient as well as powerful. There will be 6GB of RAM on board. The display is of 5.15-inches with 1080p resolution. It’s a Negative LCD display and comes with 600-nit max brightness and 1-nit super low ultra-dark brightness, ideal for night time reading. There’s a special eye protection optimization for the display that ensures that your eyes are not adversely affected by the screen, especially at night. The reading mode on the device reduces the harmful blue light from the screen, and at the same time, maintains the colors displayed. Now, you will also be interested in the AnTuTu score of the device. While we have already seen the Xiaomi Mi 6 on AnTuTu, the official score is a bit higher (not surprising) and the phone reportedly scores 184,292 on the benchmarking website. That’s one of the highest scores we have seen for an Android smartphone. But understand that real life scores are probably going to be near 170K+, similar to what we have seen in the listing before. On the GFX Manhattan off-screen test for GPU, the phone scored an impressive 63fps. The Mi 6 also comes with Vulkan 3D rendering API, which will ensure realistic graphics and efficient GPU performance. The phone comes with 2 x 2 Dual Wi-Fi support for better speed and larger range. Mi 6 supports 4G+ which promises 600Mbps max download and 100Mbps upload speeds. Other features of the flagship include stereo speakers and NFC with Mi Pay support (in China). As for the battery, the Xiaomi Mi 6 comes with a 3350mAh battery inside. 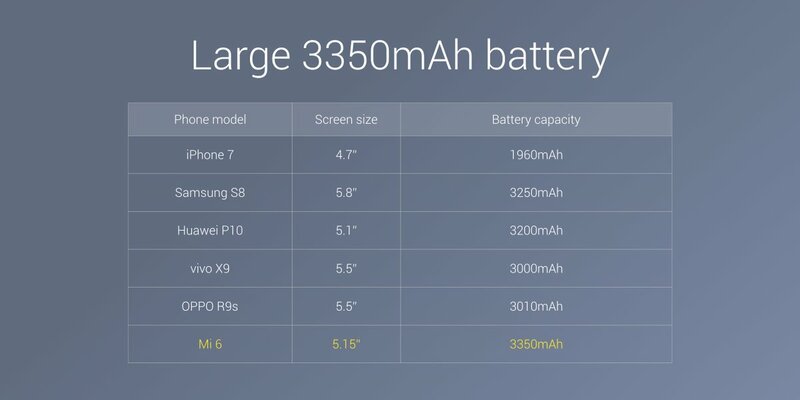 Now, this may not be large, at least according to Xiaomi’s standards, but the company made sure to add that the phone has one of the larger batteries as compared to competition with similar screen sizes. You should get about a day’s usage with this battery onboard. Xiaomi has once again joined the elite club of manufacturers in 2017 to focus on dual camera setup for better flagship camera performance. 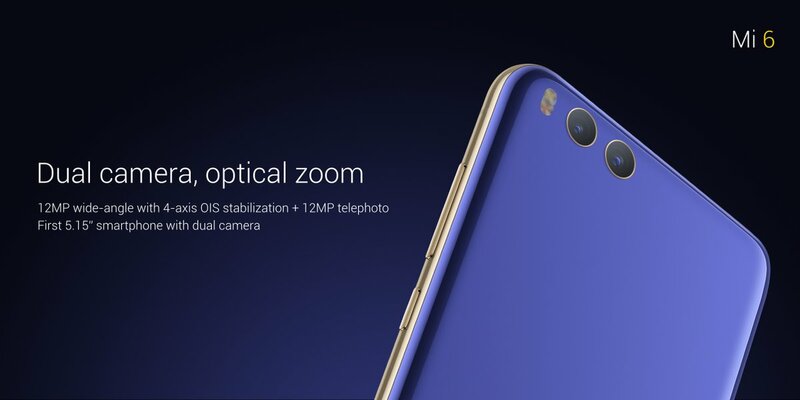 The Xiaomi Mi 6 features two cameras at the back, along with a dual tone LED flash on the left. The camera setup is as follows: 12MP wide-angle lens + 12MP telephoto lens. Now, this is a bit different than traditional Android dual camera setup which utilizes one Black and White and one Color sensor. 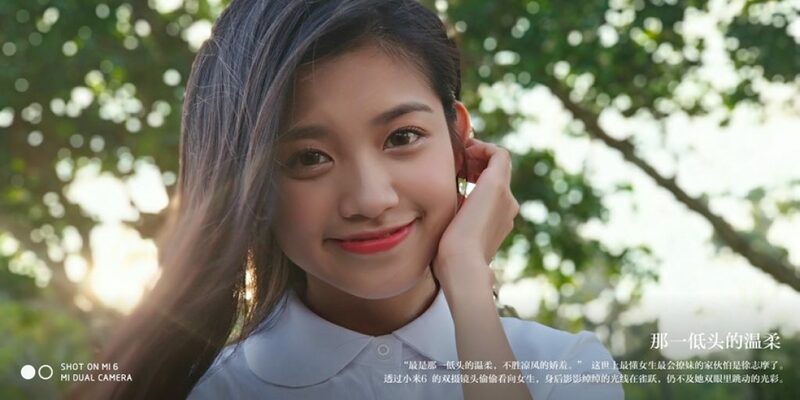 Xiaomi explains that the Mi 6’s camera uses a similar dual camera setup as the iPhone 7 Plus to produce an amazing depth of field effect. 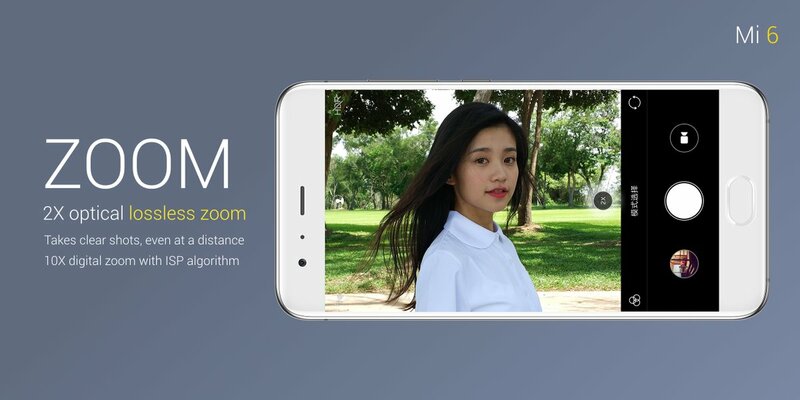 Further, the phone comes with 2x optical lossless zoom ensuring clear shots, even at a distance. You also get 10x digital zoom. The Mi 5’s 4-axis OIS will be carried forward on the Xiaomi Mi 6 as well. The Mi 6 variant with 64GB storage and 6GB RAM has been priced at CNY 2,499 (roughly Rs. 23,500), while the model with 128GB storage and 6GB RAM costs CNY 2,899 (roughly Rs. 27,000). 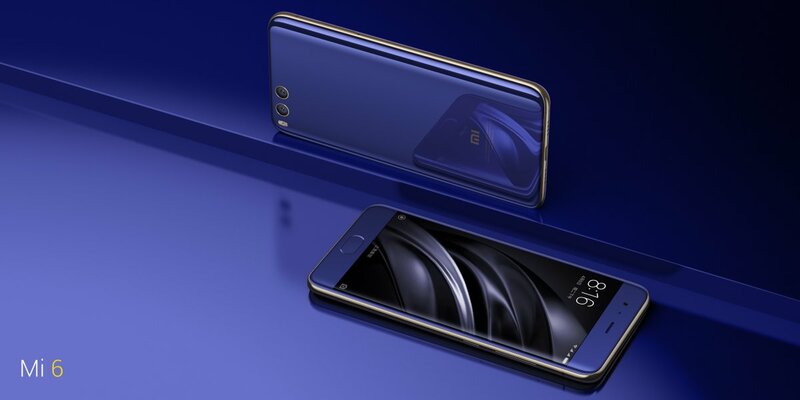 Apart from the two regular versions, Xiaomi has also announced a third version of the smartphone, called the Mi 6 Ceramic, which sports a four-side curved ceramic body and 18K gold-plated camera rims at the back, and comes in Black colour. It has been priced at CNY 2,999 (roughly Rs. 28,000) and comes with 6GB RAM and 128GB storage. The Xiaomi Mi 6 will be up for sale in China at 10 AM on April 28. So, what do you think about the Mi 6?